Radovan Cavallin was born in Zagreb, Croatia, in 1969. At age 13, Cavallin entered the Academy of Music at the University of Zagreb, becoming the youngest student ever admitted in the University’s history, graduating with honors and distinction in clarinet performance. In 1986, Cavallin was chosen from 76 candidates to enter at the Conservatoire National Supérieur de Musique de Paris, where he was awarded the following prizes: 1st Prize Chamber Music unanimously class Christian Lardé in 1988 and 1st Prize Clarinet unanimously in class of Guy Deplus in 1989. In addition, Cavallin received four scholarships: 1986, Ivo Pogorelich Scholarship; 1987 Scholarship Nadia and Lily Boulanger; and 1988 and 1989, French Government Scholarship. Radovan received awards in the following competitions: 1st National Prize for Clarinet in Yugoslavia on 4 occasions (1981, 1983, 1985, and 1986), 1st Prize of the International Clarinet Competition in Ancona (Italy) in 1984, 2nd Prize at the International Competition Clarinet “Dos Hermanas” in Sevilla (Spain) in 1995. Mr. Cavallin has performed over 400 solo concerts in USA, Italy, United Kingdom, France, Germany, Belgium, Japan, China, Portugal, Spain, Czechoslovakia, Colombia, Croatia, Slovenia, Bosnia, Macedonia, Kosovo, Serbia, and Montenegro. He has performed as soloist with orchestras such as the Zagreb Philharmonic Orchestra RTV Zagreb, Zagreb Soloists, Orchestra of Belgrade, Sinfonia Varsovia, Orchestre National de Gottwaldov (former Czechoslovakia), Orchestra del Teatro Bologna Philharmonic Orchestra of Gran Canaria, Las Palmas Symphony Orchestra, Chamber Orchestra Béla Bartók, Orchestra Franco-Belgian Brussels and Extremadura Orchestra, Symphony Dubrovnik (Croatia), Opera Orchestra of Rijeka (Croatia), St. Giles Orchestra (Oxford, United Kingdom) among others interpreting concertos by Francaix , Mozart, Nielsen, Stanford,Copland, Weber, Tomasi, Takemitsu, Danzi, Strauss, Bruch, Lindpeintner, Krommer, Debussy, Stanford, Leloup, Palacios, Shaw, Grgin, Adamic, Kovacevic. Radovan performed as a soloist with STING during his Symphonicity tour with the Orquesta Filarmonica de Gran Canaria. He has performed as a soloist at festivals in Ferrara (Italy), Dubrovnik (Croatia), Bad Hersfeld (Germany), Granada, La Orotava (Tenerife), Lanzhou (China),Brussels (Belgium), Lisbon (Portugal), Ibagué (Colombia), Lanzhou (China) and Baton Rouge (USA ). Radovan has made recordings for labels like Yugoton, Croatia Records, BMG Arte Nova, Maguelone, AgrupArte Productions, Cristal Records, Summit Records and ASV. Cavallin is one of the founders of the following chamber groups; Atlantis Quartet, Trio Spohr, Reinecke Quartet, and Alisios Camerata with whom he has recently made a successful tour of 5 concerts in Japan. 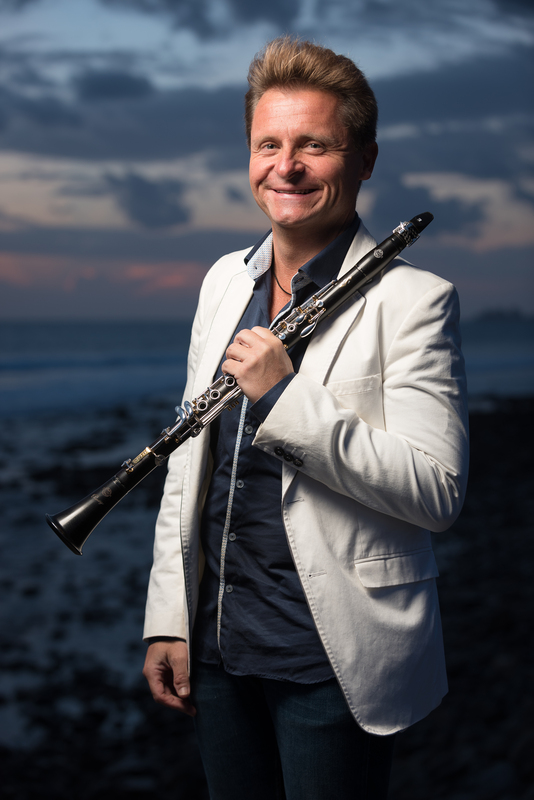 Currently, Radovan is the Artistic Director of the Agaete Clarinet Festival, VIMM (Virovitica International Musical Meeting), and the Cyprus Clarinet Festival. He also serves as regular faculty at Quintanar de la Orden (Toledo, Spain) and the International clarinet course “Julián Menéndez” (Ávila, Spain). Cavallin has taught more than 60 master classes in Japan, China, Portugal, Spain, France, United Kingdom, Italy, Belgium, Croatia, Slovenia, Cyprus, United States, and Serbia. 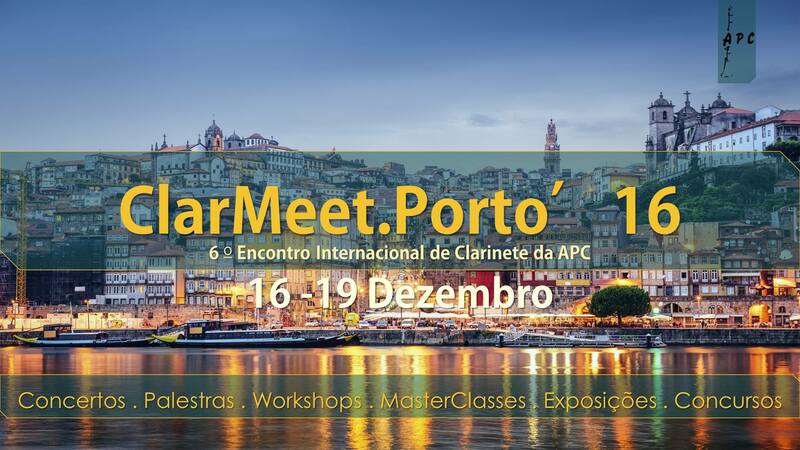 Recently, Radovan has taught masterclasses at the I Encontro da Clarinetes at the Universidade de Évora, Clar.Meet Porto (2016), Clarinetissimo, California State University (Northeridge), Arizona State University, George Mason University, and the University of Maryland, College Park. He has also been a member of the jury of several international clarinet competitions in Spain, Croatia, Portugal and the United States. Since 1989, Radovan has been Principal Clarinet of Gran Canaria Philharmonic Orchestra with whom he collaborated with conductors such as Rostropovich, Yurovsky, Norman del Mar, Gianandrea Noseda, Trevor Pinnock, Gunter Herbig, Leopold Hager, Gabriel Chmura, Antoni Wit, Adrian Leaper among many others. Currently, Mr. Cavallin is Professor of Clarinet at the Academy of OFGC. Between 2002 and 2010, he was the Professor of Clarinet, Chamber Music, and Orchestral Repertoire at the Conservatorio Superior de Musica in Las Palmas, Canary Islands. Cavallin is a Selmer, Backun, Silverstein Works and D’Addario artist performing on Selmer “Privilege” clarinets, Backun MoBa “Arabesque” Mouthpiece and Silverstein “Carbon Black” ligature and D’Addario”Reserve Classic” Reeds.